Two major issues were discussed this morning on the first day of WCRI’s annual conference: cost shifting from group health to workers’ comp and physician dispensing. Capitated plans have been steadily decreasing in number since the turn of the century. A capitated plan pays doctors a set amount for each patient in the plan assigned to them. 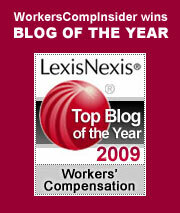 Workers’ comp is fee for service and pays more than capitated plans. A major goal of the ACA is to establish Accountable Care Oranizations, which pay by capitation. Therefore, there will be a reversal in the decline of capitated plans and they will steadily increase in the future. Consequently, there will be a heightened incentive for doctors and patients to shift some claims from group health to workers’ comp, especially soft tissue injuries, which are harder to attribute to a specific cause. The second presentation, one that was a bit more dense, looked at physician dispensing, specifically in the 18 states that have changed their rules governing reimbursement. The physician dispensing panel was moderated by WCRI’s Dr. Vennela Thumula, and consisted of her, Alex Swedlow, President of the California Workers’ Compensation Institute, Dongchun Wang, of WCRI, and myMatrixx’s Artemis Emslie. The state reforms lowered costs. But physicians continued to dispense, because, even with the lower reimbursements to them, they were still getting paid significantly more than pharmacies were paid for the same drugs. The lower costs may not be sustainable, because Pharma has figured out that it can retake the low ground by changing the strength of drugs. Vicodin is an example. Regarding Alex Swedlow’s presentation – I felt like I was drinking from a firehose. Try as I might, I couldn’t keep up with all of the data he was dishing out. I know it was really good, but I felt like the Ed Sullivan Plate Spinner trying to keep all the plates on their sticks while being handed yet more sticks and plates. What my feeble brin came away with was this: California workers’ comp is a many headed hydra, and Alex and his colleagues can’t keep up with all the heads. They’re fighting the good fight, and the research produced by the CWRI is awesome, indeed, but there are forces at work in the Golden State that are formidable and relentless. Gary Orren, Ph.D., of Harvard’s Kennedy School of Government, gave the last session of the morning. It was titled, Persuasion: The Science and Art of Effective Influence. Dr. Orren built his talk around Joshua Chamberlain’s heroic contribution at the Battle of Gettysburg. Chamberlain’s actions at the battle of Little Round Top were critical to the Union winning the battle of Gettysburg and, ultimately, the war. One could argue that if his Maine troops didn’t succeed at Little Round Top there would be no United States today. As a history buff, I found this to be great stuff, but I have no idea what it had to do with workers’ compensation. In the afternoon sessions, NCCI’s Barry Lipton presented data on the Price Impact of WC Fee Schedules and WCRI’s Dr. Rebecca Yang on the Perverse Effects of Low Fee Schedules. For Liptpon’s preasentation, I had returned to the firehose. He offered yet more data showing that workers comp costs routinely exceed those of group health and Medicare. I take a bit of an issue with Yang’s presentation, which suggested that low fee schedules lead to problems with access to care – what doctor wants to treat someone if payment is really low? Well, I suggest that WCRI take a hard look at Massachusetts, the state with the lowest fee schedule in the nation, where medical loss costs are 36% of total loss costs and where there is no problem with access to care. Just a suggestion. I look forward to tomorrow’s sessions. Now, it’s on to a good dinner, followed by the Boston Symphony Orchestra’s performance of Szymanowski’s opera, King Roger. This entry was posted on Thursday, March 5th, 2015 at 11:32 am	and is filed under Industry Events. You can follow any responses to this entry through the RSS 2.0 feed. You can skip to the end and leave a response. Pinging is currently not allowed.